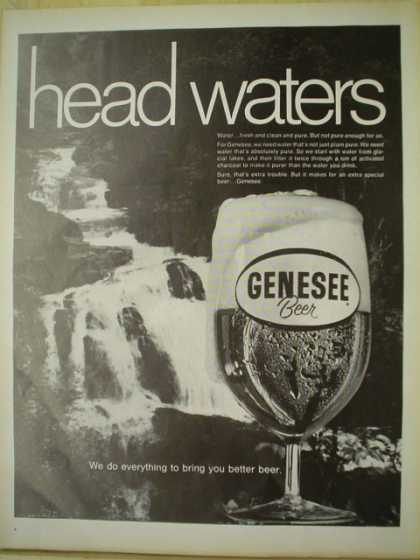 Saturday’s ad is for Genesee Beer, which was founded in Rochester, New York, originally along the Genesee River, but in 1878 they moved up into Rochester proper. Their Genesee Cream Ale, in the simple green can, was one of our go-to beers when I was in high school. Since 2009, the brewery has been part of North American Breweries. This ad, from 1969, features another full glass of beer with the weird foam. The background is a mountain stream, and given that the tagline is “Head Waters,” I guess they’re saying that’s where the weird foam comes from. Today is the birthday of George Blackall Simonds (October 6, 1843-December 16, 1919). He “was an English sculptor and director of H & G Simonds Brewery in Reading in the English county of Berkshire. George was the second son of George Simonds Senior of Reading, director of H & G Simonds, and Mary Anne, the daughter of William Boulger of Bradfield. His grandfather was Reading brewing and banking entrepreneur, William Blackall Simonds. He added Blackall to his name after the death of his brother, Blackall Simonds II, in 1905. He was brother-in-law of the portrait painter, John Collingham Moore, and cousin of the botanist, George Simonds Boulger. 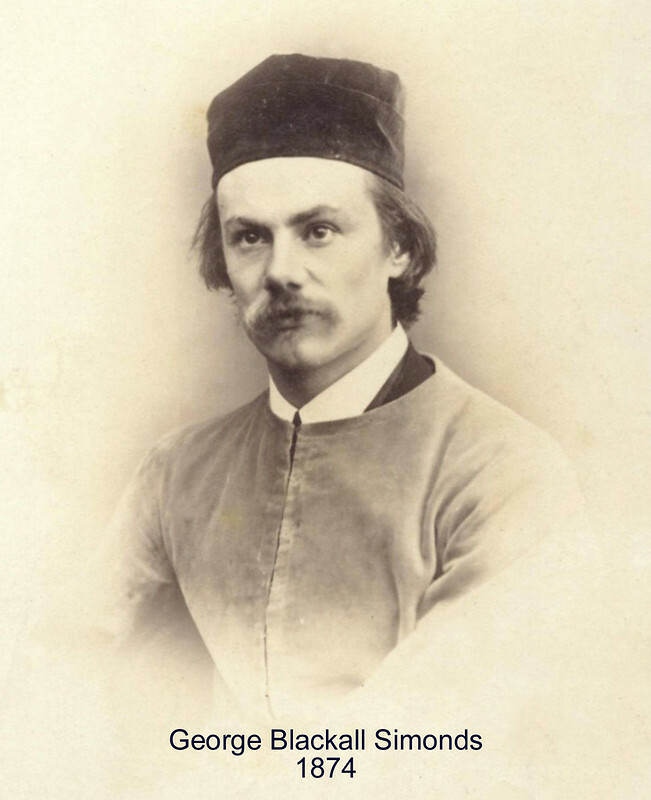 He served as the inaugural Master of the Art Workers’ Guild in 1884-85. 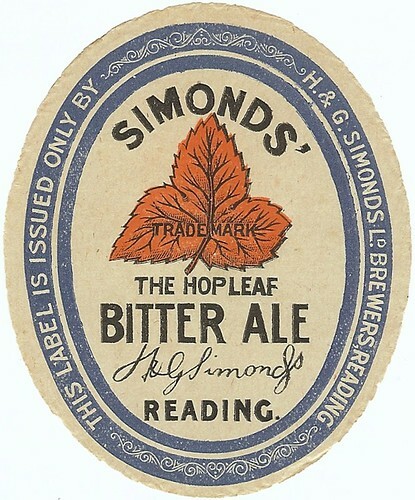 George Simonds was the second son and fourth child of George Simonds Senior of Reading in Berkshire, director of the H & G Simonds Brewery in the same town, by his wife, Mary Anne Boulger. 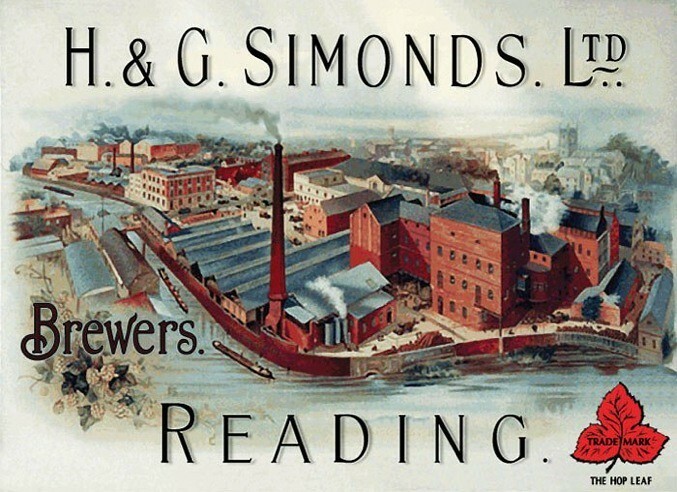 His grandfather was the great brewing and banking magnate, William Blackall Simonds. George became an early student at St Andrew’s College (later Bradfield College) in 1852. In 1858, aged just 15, he went to study sculpture under Professor Johannes Schilling in Dresden, moving on to study under Louis Jehotte at The Academy of Brussels, before living and working for 12 years in Rome from 1864. He returned to London in 1875 and set up his studio at 152 Buckingham Palace Road, moving on to Priory Studios, 21 North Bank in St John’s Wood in 1888. In 1877, he married Gertrude Prescott, an American whom he had met in Rome. They had a son George Prescott Simonds in 1881, who was killed in France at the beginning of World War I. George Simonds last exhibited in 1903 and his artistic life ended on the death of his elder brother Blackall in 1905, who in his Will, stipulated that George, as his heir, should take the Blackall name. He then became a Director of the prosperous family brewery in Reading, serving as Chairman from 1910 until his death in 1929. During this period he lived at ‘Rushall Grange’ in Bradfield, and ‘Holly Copse’ in Goring, all close to his mother’s ancestral home, Bradfield House, where he finally settled. George Simonds’ masterpiece ‘The Falconer’ has been made famous by the version which stands in Central Park in the city of New York. It depicts a young boy in 14th Century doublet, stepping forward and in the act of slipping a huge peregrine falcon. Simonds stays true to his idealist principles and continues the ‘Romantic’ theme of many of his works. The Central Park work (Opus 63) is mounted on a cylindrical granite pedestal perched on a natural outcrop of Manhatten Schist on 72nd Street, east of the Park’s West Drive. The statue itself, standing over 11 feet tall, was cast in a single piece using the ‘cire perdue’ or ‘lost-wax’ process by the master founder Professor Clement Papi (1802-1875) in Florence, Italy in 1870. While in Italy, Simonds learned much about the craft and traditions of lost-wax bronze casting. He later published an article on this subject in the journal ‘American Architect and Builder’ (Vol 19 15th May 1886, pp235-258), in which he argued for the use of lost-wax casting in Great Britain. The original life sized bronze sculpture of the Falconer (Opus 51) was shown at the Vienna International Exhibition of 1873. From here it was sent on for exhibition in Trieste, Italy, where it was bought by ‘The Society of Arts’ and is now in the ‘Galleria d’arte Moderne del Civico Museo Revoltella’ a city museum. A marble version with the falcon in ‘Electro Silver’ [Opus 88] was shown at the Royal Academy Exhibition of 1875 and depicted in the Illustrated London News of July 24th. George Kemp (1826-1893), a wealthy merchant born in Ireland and who lived in New York City, admired the plaster form for the original sculpture so much whilst on a visit to Rome in 1870 that he commissioned a colossal bronze replica for Central Park without even waiting to see the finished work. It was dedicated in New York on May 31st 1875. Following international critical acclaim, three further small bronze versions were later completed. Robert Evans, a Beverly native who had admired the sculpture while convalescing in a hospital overlooking Central Park, commissioned a bronze replica for Lynch Park, Beverly, Massachusetts. A mould was taken from the original by local sculptor George Brewster. It was then cast by Gorham Foundry, Newburyport using the lost-wax process in about 1912. 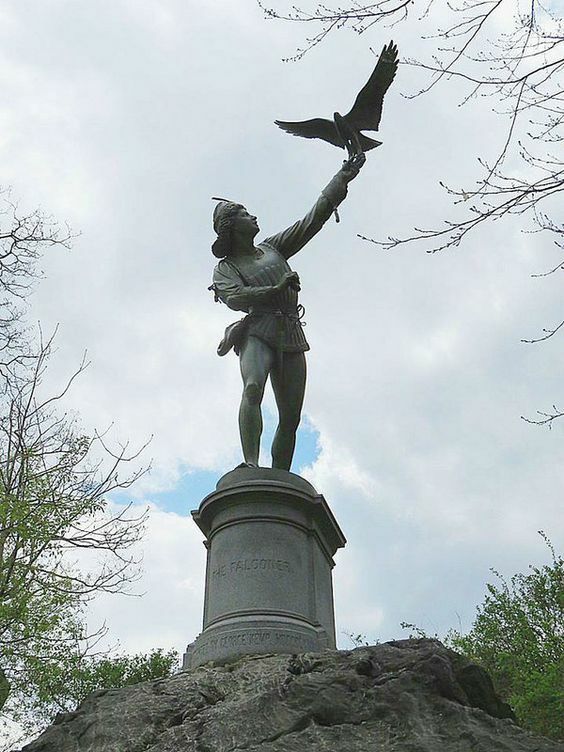 The Central Park ‘Falconer’ has suffered extensive damage, both from weathering and vandals. In danger of toppling in 1937, it was shored up and repatinated. In 1941 it was repositioned. In 1957 a new bronze falcon was fashioned and reattached. Later vandals cut off both the hand and falcon, which compelled the Parks Department to remove the sculpture to storage for safekeeping. In 1982 a replacement was cast and the statue then reset on its pedestal. In 1995 the Central Park Conservancy again repatinated and coated the statue, which today stands as an embodiment of the Park’s rich 19th Century sculptural inheritance, as well as its abundant bird species that includes the peregrine falcon. 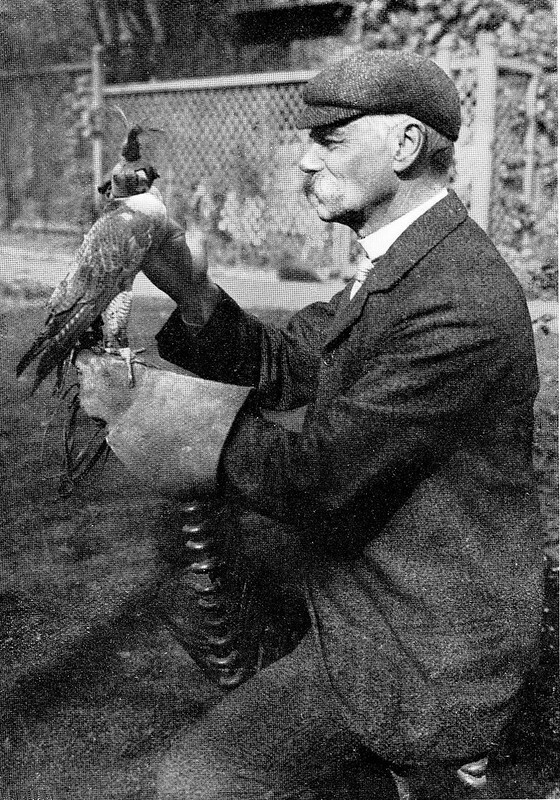 Simonds himself was an avid falconer. 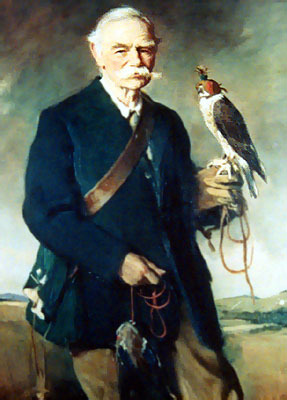 He became Founder President of the British Falconers’ Club in 1927 and was later depicted with a falcon in his official portrait as chairman of the family brewery, by Sir Oswald Birley RP (1880-1952). In 1884, with a group of young architects and artists inspired by John Ruskin (1819-1900) and William Morris (1834-1896) he founded and became the first Master of the Art Workers Guild in London. Their objective was to create a unified forum for architects, artists and craftsmen. Simonds said of the guild: “…it differs from all Art Societies in that it is not formed for the propagation of any one branch, or style, of art…. I find some things of the spirit of the Studio Life of Rome”. Other monumental works by Simonds include the ‘Maiwand Lion’ sculpture he created in cast iron for the Forbury Gardens in Reading, England in 1886. It was commissioned by the Berkshire Memorial Fund with the Berkshire Regiment as a ‘Memorial to the 66th Regiment’, who had been almost wiped out in the Battle of Maiwand in the Afghan War of 1880. In 1887, Simonds sculpted a monumental marble statue of Queen Victoria for her Golden Jubilee, which stands outside Reading Town Hall, and in 1891 a bronze portrait of industrialist, philanthropist and biscuit king George Palmer for Broad Street, Reading, which was moved to the local Palmer Park in 1930. Simonds created over 200 works in an extraordinary diversity of media and techniques, mastering; marble, bronze, plaster, terracotta, cameo, silver, brass, wood and cast iron, a remarkable achievement. George was a leading proponent of the renaissance ‘Lost Wax Process’ used in casting large Bronze works, publishing variously on the subject in the UK and the USA. George was associated with William Morris (1834-1896) and the critic John Ruskin (1819-1900) much involved in the new ‘Arts & Crafts movement’. He served as the inaugural Master of the Art Workers Guild in 1884. The Guild was formed by a group of young architects who, inspired by the ideals of Pugin, Ruskin and Morris, wished to create a forum where architects could meet artists and craftsmen; it was a response to a widely felt crisis in the Arts. His best known works are The Falconer (1873) in Central Park, New York City (US) and the Maiwand Lion (1886) in the Forbury Gardens, Reading in Berkshire (UK). The Falconer, in Central Park, NYC. He was also a keen falconer. And here’s more about his brewery. Today is the birthday of Italian beer writer Maurizio Maestrelli. I think I first met Maurizio in Belgium several years ago on a press trip, but we’ve also judged together at the Brussels Beer Challenge and, I believe, in Japan. He’s also a founder of Milano Beer Week, so we have that in common. He’s a great person to share a beer with. Join me in wishing Maurizio a very happy birthday. 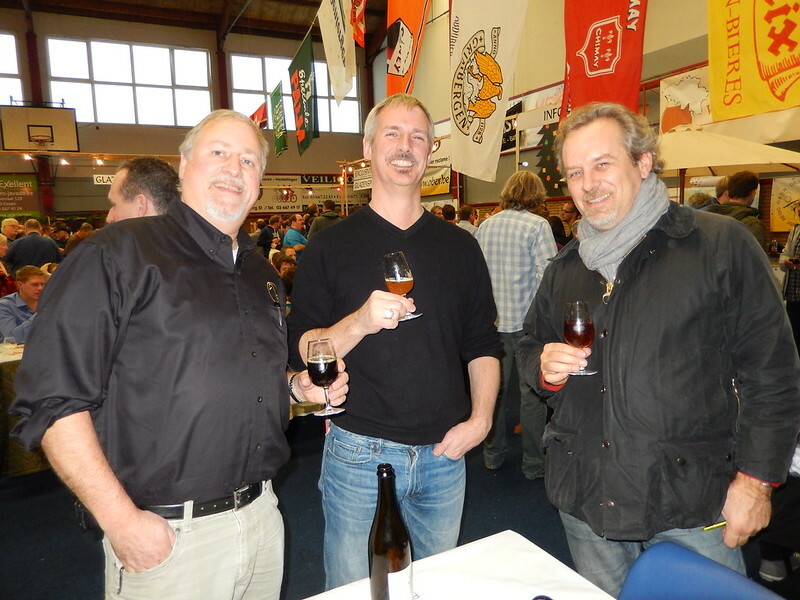 Me, Stephen Beaumont and Maurizio at the Kerstbierfest in 2013. 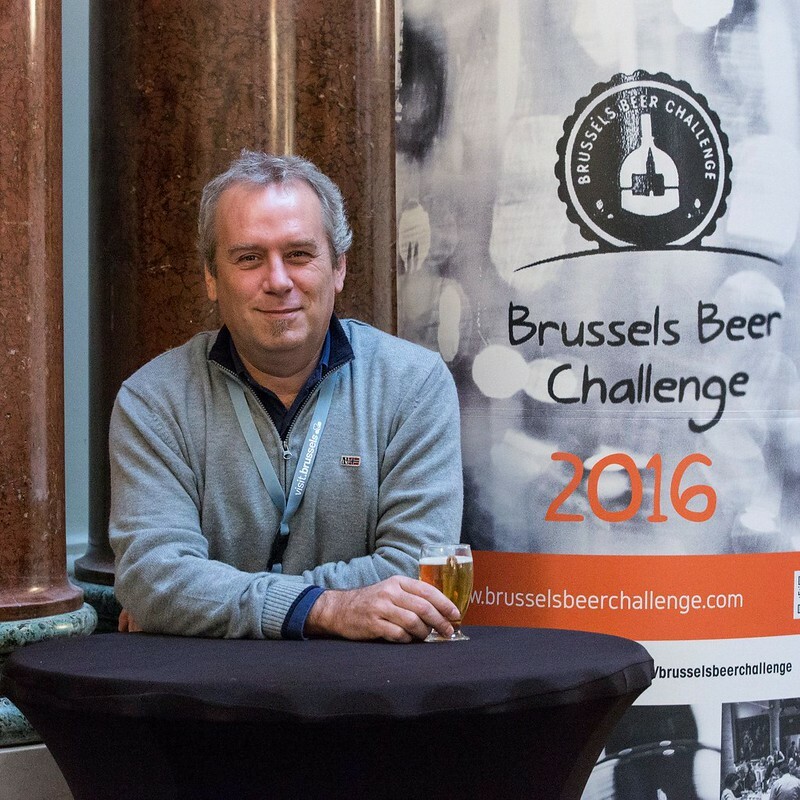 Maurizio at the Brussels Beer Challenge in 2016. 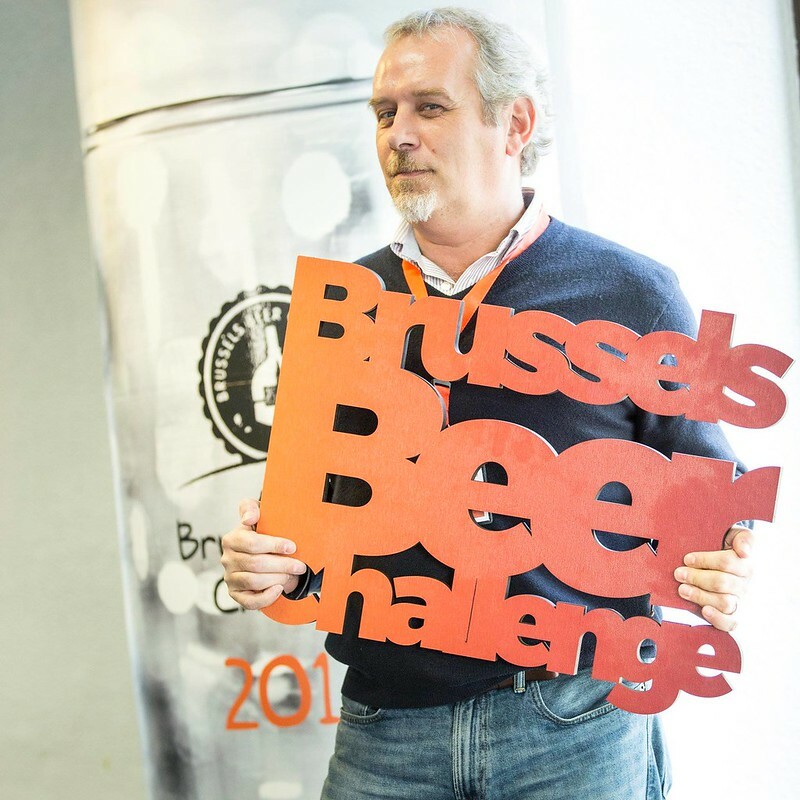 Maurizio at the Brussels Beer Challenge in 2017. Today is the birthday of John Wieland (October 6, 1829-January 3, 1885). He was born in Baden-Württemberg, Germany, and emigrated to the U.S. when he was twenty, in 1849, eventually settling in the San Francisco area of California. 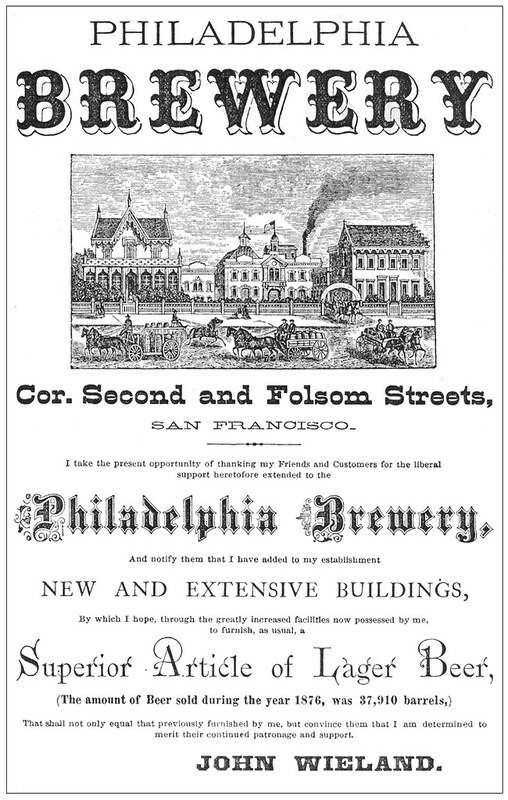 In 1855, he founded (or bought into) the Philadelphia Brewery in San Francisco. 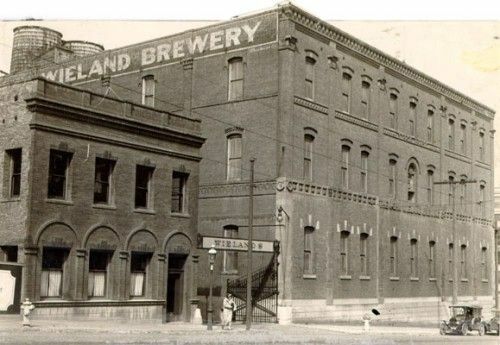 After his death in 1885, the name was changed in 1887 to the John Wieland Brewery. 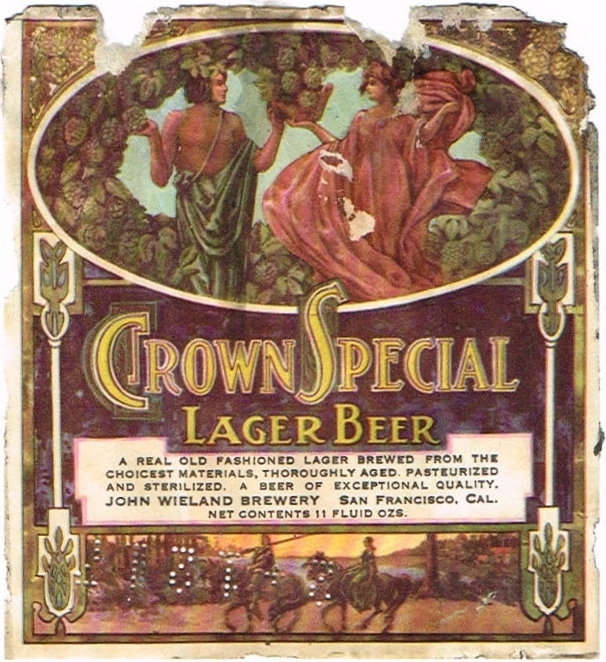 In 1890, it became part of a ten-brewery British syndicate, and remained open until prohibition. It reopened in 1934, but closed for good the same year. 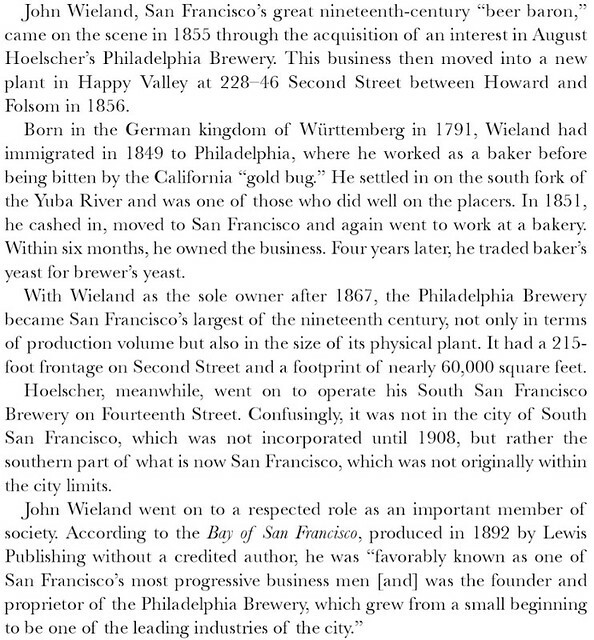 Founder of Philadelpha Brewery, Descended from one of oldest families in Wurtemberg, Germany. His father, John David Wieland was born in Wurtemberg in 1751 and married to Regina Hahn. 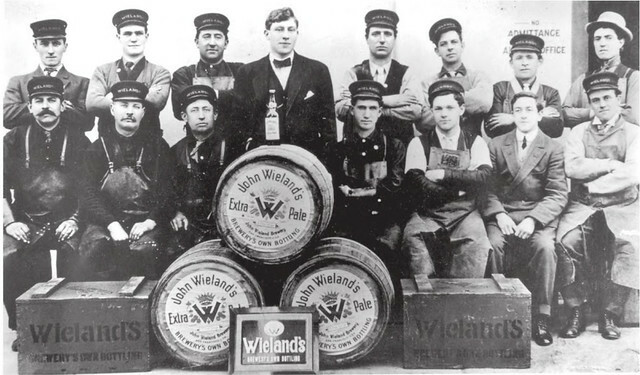 John Wieland went to school to age 13 and then worked in the vineyards. On 3/26/1849 he set sail to the United States, landing in New York and going directly to Philadelphia where he was apprenticed as a baker. In 1850, after hearing tales of gold in California, he sailed around Cape Horn on a 165-day voyage and arrived in San Francisco in early 1851. He mined on the South Fork of the Yuba river and Canon creek with great success and purchased a claim on Twist Flat, sold it and then returned to San Francisco as a baker at Union Bakery- later owning it. He married Sophia Fredrica Dorthea Schulthiess (native of Wurtemburg) in November 1853 and had eleven children. (Nine of them were surviving as of 1892). Tragically, on January 3, 1895, he and his 17-year-old daughter, Bertha, were killed in an accident when he brought a candle too close to oil stored in the basement and it exploded. His son Albert was also badly burnt and his son Hermann had severe burns on his right hand. 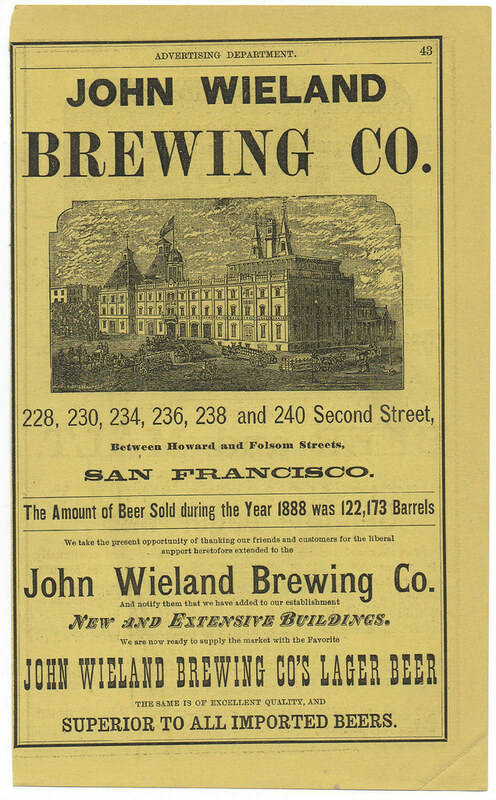 JOHN WIELAND, deceased, whose name was so well and favorably known as one of San Francisco’s most progressive business men, was the founder and proprietor of the Philadelphia Brewery, which grew from a small beginning to be one of the leading industries of the city. Mr. Wieland was descended from one of the oldest families of Wurtemberg, Germany. His father, John David Wieland, was born in the home of his ancestors in 1791, and followed the business of a wine grower and also did some farming. During his life he was a gallant soldier, and in recognition of his bravery he was decorated. He married Regina Hahn. 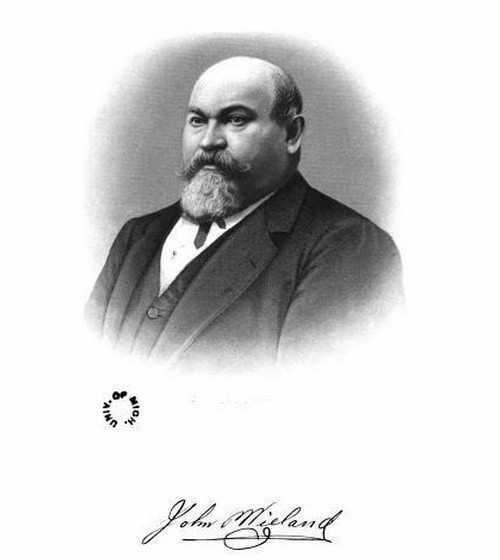 Their son, John Wieland, was born October 6, 1829 in Wurtemberg, and attended school until he was thirteen years of age, when he went to Constadt and worked on farms and in vineyards. After seven pears [years] spent in this way he determined to go to American, and March 26, 1849, he bade farewell to his native land and set sail for the New World. After landing in New York he went direct to Philadelphia and apprenticed himself as a baker. In 1850 the stories of the gold discoveries of California reached the East, and he determined to see all that the United States could offer. He sailed from the port of New York on board the ship Botner, went around the Horn, and arrived in San Francisco early in 1851, after a voyage of 165 days. He at once went to work at his trade, but attracted by the gold mining reports he went to the south fork of the Yuba river and mined on Canon creek, meeting with great success. Later he purchased a claim on Twist Flat and continued there until the close of 1851, when the sold out and returned to San Francisco. For two months he was employed at the Union Bakery, and then bought an interest in the business, and in six months was the owner of the whole establishment. 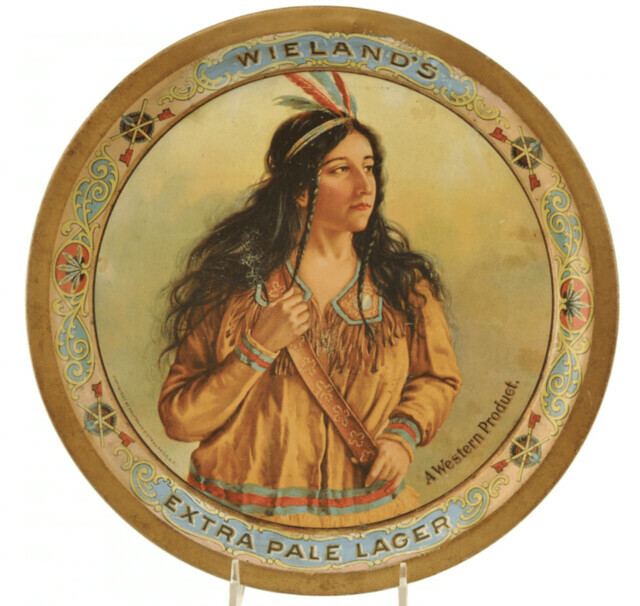 The following year he formed a partnership, the firm being known as John Wieland & Co., and this existed until 1855. When this relationship ceased he determined to embark in the business in which he was successful up to the time of his death. He first purchased an interest in the business of August Hoelscher; they were very prosperous, and in 1867 he purchased the interest of his partner, paying therefor the sum of $100,000. He continued to make improvements and to extend his patronage until the establishment became one of the great enterprises in the commerce of the city. Mr. Wieland was married in November 1853, to Miss Sophia Frederica Dorothea Schulthiess, a native of Wurtemberg, and the union was blessed with eleven children; nine of whom still survive; three of the sons were associated with the father in business and rendered him valuable assistance. 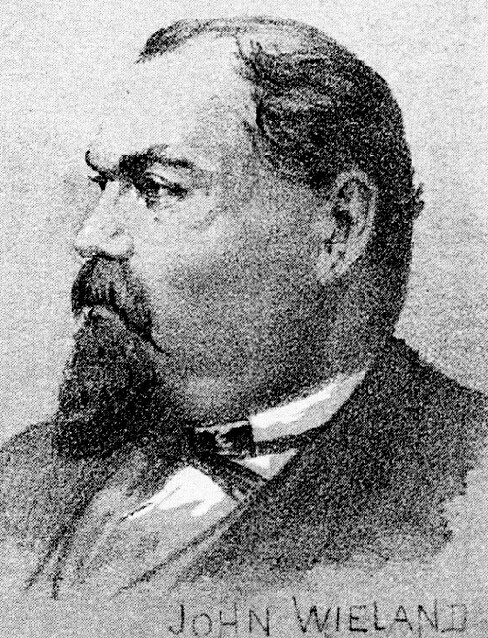 Mr. Wieland was a member of the Turn Verein, having joined in 1854; for a short time he was Treasurer of the society; he was a member of the San Francisco Schuetzen Verein. He was frequently urged to allow his name to be used as a candidate for public office, but he steadily declined the honor. Soon after his arrival in Philadelphia he made application for citizenship, and in 1853, in San Francisco, he accepted the obligations imposed upon an adopted citizen of the United States, and has ever been true to his vows. On January 3, 1885, he met with a sad and painful accident, which resulted in his death on the following day. The cause of the disaster was a kerosene explosion, in which his son and daughter were badly burned, and in his efforts to save them he lost his own life. This affliction caused a deep gloom to settle over the city, and many sympathizing friends did all in human power for the bereaved and suffering family. Mr. Wieland was a kind and indulgent father and husband, and a stanch and trusted friend. Mrs. Wieland survived her husband until the year 1891, when she, too, passed to the other life. She was a women of unlimited generosity and of most gracious hospitality. The children are all natives of San Francisco, and are among her most worthy sons and daughters.